All love turns into uranium-sipping red birds. All love is slayed. All love metastasises. Red Birds is about the destruction that inevitably follows love. 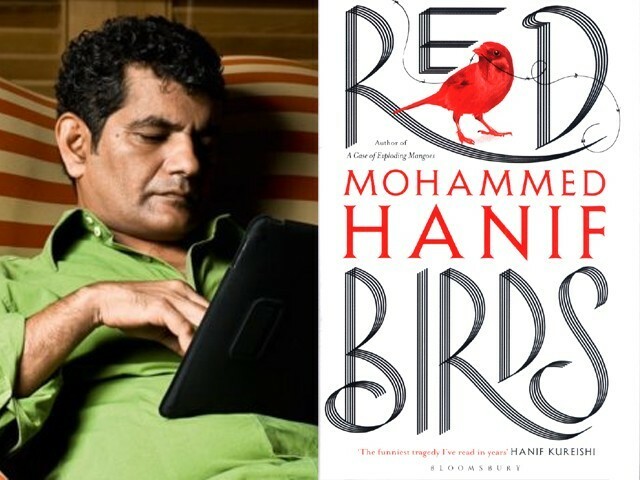 Many say this Mohammed Hanif novel is an anatomy of the wars men wage and the carcasses of pain women and their children must sweep up, each with their own indignities, but I don’t. I am sure it is an ode to the unloved. Take Major Ellie for instance, the mediocre white man who is the glorious pilot of a plane that could buy say, a city in Federally Administered Tribal Areas (FATA) in Pakistan. Ellie wipes out cities with the courage of his right thumb prompted by an X target on his screen; yet he’s deathly afraid of the perils of loading the dishwasher. Ellie loves his wife Cath so much, but doesn’t know how to love. Cath is the woman whose womb is as crusty and barren as the desert Major Ellie ends up in. Cath is the woman who makes Ellie’s love for her destructive, with her silence, her disapproval of wars and the disdain she has for secrecy that first world militaries demand of her man. Momo, the youngest of all brown Muslim men, is unsavable. His love for his Bro Ali blinds him to the folly of seeing business opportunity where there is none. Even in the hot sand he chokes his desires and dreams of Warren Buffet, of the land of barbed wires and embargoes. Red Birds would be incomplete without Mutt, who clearly no one has ever accused of being a virgin, yet finds human behaviour utterly without morals. Mutt gets love, lives loyally, but despite having fried brains he fails to understand why humans don’t just ‘hump’ someone they love. Why do they need to host extravagant weddings after which they shamefully withdraw to four-walled corners to do the human equivalent of the most natural act? He describes every character flaw with a distinct smell; so distinct that the next time you smell it in real life, it reminds you of Mutt’s moral take on the universe. Talking about his book, Red Birds, Hanif recounts that almost all of Sufi history and the traditions of the Indus have placed great prestige and dignity on Mutt. Both poetry and literature of the greats pay homage to the dog’s world, similar in terms of “smelling crotches” and different in terms of the degradation to which man would go to but a dog would never. Hanif is both a bearer of our harmony with nature’s creatures and a reminder of a time when we did not rest our piousness solely on the exclusion of poor needy Mutts. If you need to remember the idiocy that left the people of our region without the moral compass of a dog, read what Mutt says about wars and the futility of dropping salt handouts from the skies with messages of peace, right after obliterating villages. Some loves are not worth the destruction. A mother’s love for instance. For me, this splendid book makes a case for never birthing something that you could lose to the blind ambition of civilisational clashes. 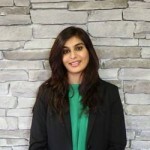 What use is a mother’s love, her rosary, her chicken-pox preventing dupatta, her honour, or her morning-prayer tears if she cannot distinguish between a child and a child without a pulse? Most love is not worth it. Not until you can guarantee that your boys will not be drafted into war for the fear of hunger or the need for glory of your forefather’s land. All love turns into uranium-sipping red birds. All love is slayed. All love metastasises. All love is cherished only momentarily, then it becomes owned by the space-time continuum where you only have as much control over who breaks your heart, as a mutt knows where his next hug comes from. It’s an oasis out here in the world of the living. The first rule that Ellie has been taught comes in handy – if you see something glitter in a desert, do not run towards it. It is not real. The same applies to needing hugs. Ever since the invention of fire and scrolls and wall paintings, love begets destruction. Love needs something to beat down to prove it exists. This is why to Mutt, even with his vast vocabulary of smells, crotches sometimes smell of nothing. Hanif’s Red Birds is a lament, a rant and somewhat an ode to pacifists. It is fantastically packaged with a great deal of the reality of the last 10 years of Pakistan or war-torn Africa or any non-Arab country where its people are not quite liked by those who own weaponry. Or not liked by those who own rights to the master narrative. Red Birds will leave you grieving for a mother, laughing at dog-wisdom and gasping for air because sometimes George Orwell speaks from the mouth of each of the narrators: four-legged and two. I read it because I’m a Hanif fan and loyalist, and I learned a thing or two from Mutt, the four-legged creature with fried brains, and the importance of sticking to favourites. The book was a departure from Hanif’s style and it appeared like an ambitious foray into an area that was bigger than what the book managed, with difficulty, to try and cover.